When Terry Jones came to town, raving delusionally about sharia law in America, he should have done us all a favor and cracked open a copy of Arab Detroit 9/11. The Florida pastor’s visit to Dearborn last March, revealed many people are still a long ways away from an accurate and respectful understanding of Arabs. 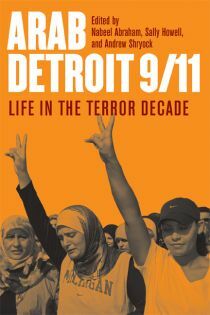 Arab Detroit 9/11: Life in the Terror Decade is an attempt to address this. The book dispels many myths about local Arab culture and shines a wonderfully needed light of the evolution of that community during the past decade. Editors Nabeel Abraham, Sally Howell and Andrew Shyrock have created a highly accessible and interesting work of scholarship that explores the many changes and paradoxes faced by local Arabs in the aftermath of the attacks on September 11, 2001. The rocky road traveled over the last ten years has often strengthened local Arab communities, resulting in a decade that, as mentioned in the foreword, has been both challenging and empowering for those in the nation’s most prominent Arab population center. Although fairly easy to read, the collection is a bit of a hybrid, a combination of demographic research, journalism and first person accounts. The approach works though, offering a thorough document of the different groups that make up Detroit’s diverse Arab communities: Muslims, Chaldeans (some who do not identify as Arabs), Lebanese Christians, recent immigrants and others whose families have been in Southeast Michigan for generations. The book navigates the complexities of identity well. Rather than simply running with a “good Arab, bad Arab” narrative, Arab Detroit 9/11 highlights some of the problems with this approach. Several essays delve into issues surrounding the public image many local Arab leaders have constructed in downtown Dearborn; pushing forth an idealized group identity that, perhaps understandably, depoliticizes and superpatriotizes local communities as a means to decrease tensions with federal agencies and the non-Arab public. Other essays detail the constraints identity places on peoples’ ability to express themselves and engage in civic discourse. Rachel Yezbik’s piece on Dearborn’s Arab American National Museum does an thorough job of pointing out these contradictions by focusing on what’s conspicuously absent from the museum’s exhibits—references to 9/11 and the collective terror the community has endured in its wake. As someone who remembers first-hand the chaos following the attacks on the twin towers, I think the book’s historical timeline offers a real public service documenting the backlash of the attacks in Manhattan and D.C. The images of shattered glass at Wayne State’s Muslim Student Center that week has not faded from my memory. Arab Detroit 9/11’s accounts of hate crimes and dubious behavior by federal agencies are much needed additions to our nation’s historical record. One disappointment, however, is how the book’s foreword seems to foreshadow an examination of the relationship of Arabs in Detroit with other communities without really delivering. I had hoped it would delve into how longstanding tensions with the area’s Jewish and Black communities have evolved during the last ten years. The book merely touches on issues like the FBI killing of Black Imam Luqman Ameen Abdullah and the efforts of anti-Islamic blogger Debbie Schlussel, without exploring their deeper cultural contexts. All things considered, though, Arab Detroit 9/11 is an intriguing and useful work of social research that offers many thought-provoking perspectives on life and politics in our region. It’s definitely a book worth getting into the hands of curious readers. Copies can be purchased at the Detroit Historical Museum and ordered through Wayne State University Press.